Spread Betting Markets: What Can I Bet on? You are here: Home > Learn Spread Betting: Training Course > Spread Betting Markets: What Can I Bet on? As mentioned in an earlier article, you can spread bet on a vast range of financial securities and instruments. There is such a wide range of markets now offered by providers that you can back almost any view. If you have a hunch that the gold price is set to go higher again, you could back that view by taking a long spread bet position on the gold price. If you believe that the dollar will collapse in three months, you could ‘short’ the currency over the same period. Likewise, if you believe that Tesco or BP will finish the day or week higher, you can back that too. In this respect financial spread betting has completely changed the way that private investors can get exposure to financial markets, and spread betting companies are constantly coming up with new ways to allow easy access to an ever-increasing range of markets. A few people make the mistaken assumption that you can only trade spread bets on indices. Spread bets lend themselves well to trading such markets and while indices are a popular choice, this assumption is wrong – the sheer degree of choice is absolutely astounding with clients typically being able to enjoy instant access to two-way prices on thousands of different financial instruments. In fact, spread bets can be linked to the price movement of a single market instrument, such as a share or commodity or currency pair – or they can be linked to a stock or commodity index or market sector. Stock Indices; Bet on the price movement of an index. 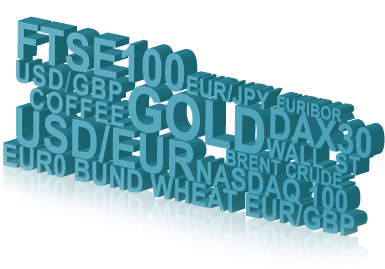 Popular markets include the FTSE 100, Dax 30, Dow Jones and S&P 500. Shares; Bet on the price movement on individual shares. Popular markets include BP, Barclays, and Google. Sectors; Bet on the price movement of shares of companies that are in a particular industry. Popular markets include the Financial and Mining Sectors. Forex; Bet on the price movement of one currency against another. Popular markets include GBP/USD, EUR/USD and GBP/JPY. Commodities; Bet on the price movement of commodities without taking physical ownership. Popular markets include crude oil, gold, gas and lumber. House prices; Bet on the price movement of UK housing market prices. Spread betting also allows speculators to gain exposure to a number of energy markets that may not usually be available to them. For instance, you can trade oil, gas, BP (BP. ), Royal Dutch Shell (RDSB), energy sector, energy options, etc, all through one account on a single platform. When a market starts hitting the headlines, it tends to explode interest amongst the spread betting community. So happened in the Gold and Oil markets when they reached new highs. Some providers even include novelty markets like on inflation rates – which was introduced by GFT, which also offers interest rates in its extensive range. The trading of gold, silver, index and foreign exchange spreadbets has grown dramatically in the last few years; perhaps driven by news headlines. In times past, most spread traders would start off trading individual stocks like Barclays or selling a stock they believed was overvalued – but most wouldn’t touch foreign exchange then. The situation has reversed now with 2011 having been particularly popular for currency spread trading amongst UK spread betters and most prefer to start off trading forex or indices rather than individual shares. David Jones, chief market strategist for IG Index however says that over the longer term clients prefer to stick to the markets they are familiar with blue chip FTSE stocks, major forex pairs and main indices like the FTSE 100, Dax and Dow being perennial favourites. It is worth noting that spread bets are not offered on economic indicators, inflation can be hedged by betting on commodities/bonds. All these markets are accessible through the one spread betting account with the trading hours generally being the same or even better than the underlying exchanges. Some markets are quoted only during exchange hours, including FTSE 100 stocks. Other markets, including indices can be quoted over longer periods. The forex market is another one that is open and accessible 24 hours a day – there is no central exchange and all trading is made via electronic and telephone networks that link all the world’s financial centers. The fact these span every time zone means from Monday to Friday the forex spread betting market is open and accessible 24 hours a day. Spread betting allows you to profit from changes in all these markets by using margin: your spread betting provider is lending you the bulk of the value of your trade by only requiring you to deposit a portion of it, your margin. This is particularly useful, as many markets only change incrementally against each other on a day-to-day basis. Spread betting providers, which mainly target private investors, offer a leverage of about 10 times on shares trading and about 100 times on currency trading. Now, no one is suggesting that you should spread bet or deal in all these markets! Don’t overload yourself with stacks of other markets, that’s what spread betting companies want you to do, it just makes you a jack of all trades and master of none. For some spread traders, all this choice can be just too tempting. Enthusiastic newbies often fall into the trap of trying every jar in the sweet-shop: they open positions in loads of different markets just because they can. Keeping track of numerous markets at the same time is no simple feat and is difficult even for experienced traders. To trade a market effectively, you have to follow not just its price action, but also understand what makes it moves and what its quirks are. Its boring I grant you, but all trading probably is… The bottom line is making money, so, it follows as long as its legal, what does it matter, that you’re not all over the shop? It makes sense, particularly when you are starting out, to concentrate on one or two types of markets and really get to know what news flow most affects the price that you are trading and how volatile it tends to be. Remember that when starting out you need to make sure that you trade a market that suits your needs. Make sure you are informed about your chosen market’s opening and closing times and what size your bet is traded in. For instance, a pound a point can result in a substantially different exposure depending on whether you are trading a commodity, currency or stock price. Way too often investors tend to jump in at the deep end trading a particularly volatile market or one they don’t understand. Research and discipline are paramount here. It is good practice to watch a stock for a while – once you’ve acquired some experience you will start to see that the markets do trade in very specific patterns – and if that’s what it takes to understand enough of the risk to apply the right game theory then so be it. Note: The spreads tend to be very tight on the more popular markets but can widen for others, particularly the more exotic markets. Unfortunately, I also like to deal in some of the non-popular markets. Example 30-year US bonds ($31.25 tick size with a transaction cost of $3.26 per contract/trade on futures). Experienced and successful spread traders are very selective in their trades – and this goes all the way from them deciding optimum entry/exit levels, trade sizes and stop losses to picking the right market to trade in the first place. In practice it is best to choose things you are interested in, or know something about or where you feel you have an edge. Get to know their ins and outs and manage your orders accordingly. You don’t gain anything by trading on other products as well, as to concentrate on one area is more likely to build up your experience and expertise quickly. Most new spread betters tend to prefer trading the FTSE 100 index which is understandable since most investors trading with spread betting companies tend to be UK based, so it is quite possible to do some research and find out good information on the market. For some markets, spread betting providers will continue making a market even after the underlying exchange where the stock or commodity is normally traded has closed. So for instance a spread betting company might quote their UK 100 (FTSE 100) market 24 hours a day, from Sunday night until Friday evening even though the actual FTSE 100 is only open each weekday from 8am until 4.30pm. This is often done on the basis of a related future contract that might still be open even after the stock market has closed. One example would be the FTSE 100 index. The FTSE future trades on on Euronext. Liffe between 8am and 9pm (UK time) which typically allow spread betting brokers to accurately quote prices of the FTSE 100 index (UK 100) for those hours. This obviously provides spread traders with greater freedom and flexibility and make spread betting even more versatile as a speculative tool than regular trading. Some markets including some forex pairs, indices and commodities are even quoted round-the-clock. Some markets are open ended (roling bets), some will expire at the end of the day (daily bets) and others will have defined Quarter or Month end expiries, usually in keeping with Futures markets traded on the regulated exchanges. The Daily Rolling or Intraday trade prices. This is for trades that expire at the end of the trading day however you can close the trade at any time during the day or choose to ‘roll it over’ to the following day for a small charge. The Quarterly trade prices. These expire at the next quarterly expiry date. Again you can close this anytime before expiry or chose to roll it over to the next quarterly date. The Futures trade prices. The expiry date of these will depend on the contract month you have chosen. As above you can close these trades anytime before expiry date or chose to roll over to the next contract month. In the case of quarterly or futures-style spread bet, there is no daily financing charge as there is with ‘rolling daily’-style bet. Instead, all the costs are all included in the difference between the price at which you open and close your position. NB. Share prices are shown in ‘pence’ so if a share is trading at £3.57 it would be shown as ‘357’ with each ‘point’ movement being the equivalent to a ‘penny’ movement.